Year 12 students can now apply for Griffith undergraduate degrees online through QTAC or UAC. You can also search for more information on our Degree finder. If you are applying as an international student, visit international applications. Scroll down for information on Prerequisites and Assumed Knowledge and Year 12 Subject Adjustments. From 2019 students commencing Year 11 in Queensland will graduate with an Australian Tertiary Admission Rank ( ATAR ). QTAC will be responsible for calculating the ATAR on behalf of Queensland universities. How will the ATAR be used for admission to Griffith? From 2021 the ATAR will be the admission pathway for Year 12 students applying to study a Griffith undergraduate program. Adjustment factors, including a Year 12 Subject Adjustment may be added to your ATAR after it has been calculated. At Griffith we have a long tradition of recognising the skills and knowledge gained through Vocational Education and Training (VET) as a highly effective pathway to university. Griffith encourages senior secondary students to achieve an ATAR . We will retain our current policy of recognising stand-alone VET qualifications completed at high school. Over many years, Griffith has seen VET pathway students achieve remarkable results. A completed Certificate III or IV, undertaken while at school, will allow you to apply to study a range of degrees at Griffith University. These degrees will shortly be identified in the Griffith Degree Finder. A Certificate III or IV does not meet the English subject prerequisite. For admission in 2021, the English prerequisite can be satisfied by achieving a grade of C in Units 3 and 4 in one of English, Literature, English and Literature Extension or English as an Additional Language. A completed Australian Qualifications Framework (AQF) Diploma, undertaken while at school, meets the English subject prerequisite for admission and will allow you to apply for a number of Griffith undergraduate degrees. These degrees will shortly be identified in the Griffith Degree Finder. The Griffith University Early Start to Tertiary Studies (GUESTS) program offers OP, ATAR or Diploma of the International Baccalaureate eligible senior high school students the opportunity to experience Griffith studies while still at school. 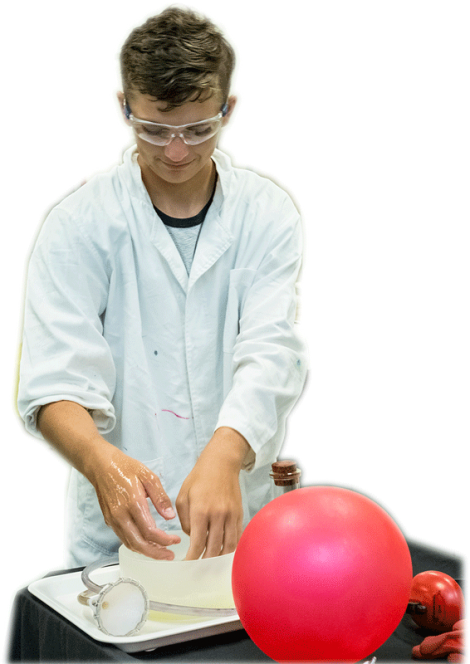 The GUESTS At-School program allow students to experience Griffith health or science courses during Years 11 and 12. The GUESTS On-Campus or Online program allows motivated high-achieving students to study up to two courses (subjects) at Griffith while still at school. Griffith awards subject adjustments for Senior subjects and university courses successfully completed in high school that require a high level of skill and knowledge. Through Griffith Sports College, elite athletes can gain direct entry to Griffith. The College also provides elite athletes flexibility and support needed to achieve sporting excellence while completing their university studies. An extracurricular program for high-achieving students, Griffith Honours College offers initiatives such as mentoring, industry training and international experiences with partner universities.